Please find below an outline of the process involved in a typical garden design project. Hover over the titles to see a more detailed description. For that extra special finish, we offer to source or design features, furniture and accessories. We also offer a maintenance schemes so you don't have to worry about how to keep your new garden nice and tidy. We work closely with contractors or are happy to liaise with your chosen contractor to ensure that our joined vision becomes reality. To make sure we can create an atmospheric planting, our planting schemes are individually designed. We source and supply plants and know where to go plant, hunting for something a bit more unususal. Should you fancy that extra little special touch, tailor made features can be designed, drawn up and commissioned to suit your very individual design. To guarantee a stunning and well crafted result, the working plans give details about materials, final heights, lighting etc. and also enable contractors to quote for implementation. 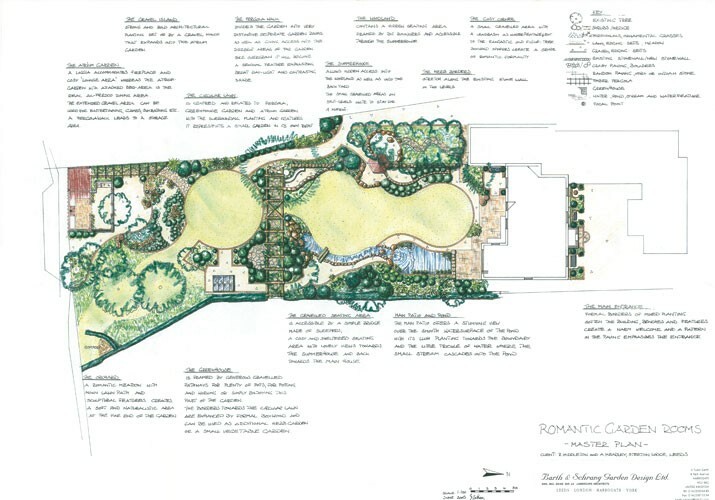 We want you to enjoy your garden in times to come, thus the Master Plan represents the conceptual layout for your new garden and explains all the main features and ideas. To make sure your future garden suits your very personal needs, the sketch design gives plenty of ideas and offers an exciting design input, a variety of styles and features to choose from. We take the burden off your shoulders and help you to determine what is worth keeping in your existing garden or plot. We then analyse how your individual preferences and requirements can be best adapted to the plot, the exposition, soil conditions, surrounding and location. 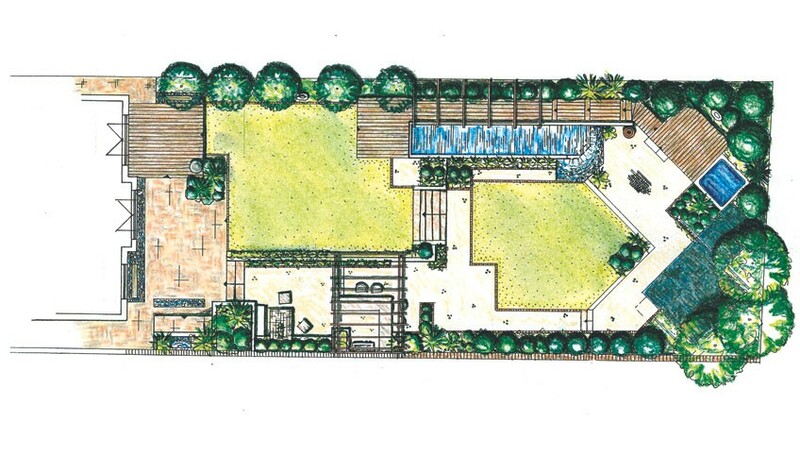 Smaller spaces and garden project can be measured when on site. For larger areas or when in sloping area I can arrange a digital site survey to enable precise design and planning for the site. A friendly chat and a walk around your garden helps to develop a detailed brief on how you envisage to use your garden.